Stretching roughly 2,600 miles (4,184 kilometers) from Tibet to the South China Sea, the sinuous Mekong is the thread that connects Indochina’s diverse cultures. It flows through six nations—China, Myanmar (Burma), Laos, Thailand, Cambodia, and Vietnam—and with more than 1,200, it has the third highest diversity of fish species in the world (only the Amazon and the Congo have more). For the past 800 years, explorers from Kublai Khan to Frenchman Francis Garnier have sought to conquer the river and the region that surrounds it, sending warrior hordes south toward Cambodia’s Angkor Wat or dispatching parties in dugout canoes north from Saigon (now Ho Chi Minh City). These early expeditions survived tigers, leeches, and quicksand, but never completely penetrated the Mekong Basin or reached the river’s source, in Tibet. With travel restrictions easing and British and American expatriates establishing new adventure travel companies, more of the Mekong has opened up to travelers over the past ten years than during centuries of exploration. Remote stretches of the river in Laos as well as jagged peaks edging the river in China are now destinations for outfitted trips—inflatable-kayak tours of isolated villages, mountain bike excursions through the surrounding countryside, and 4WD expeditions near the river’s headwaters. 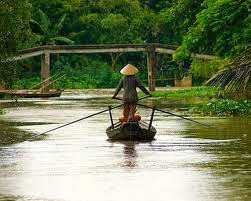 From source to mouth, many of the communities along the Mekong continue to live as they have for hundreds of years. Using the river as your guide is the best way to witness these cultures in their most intact form. 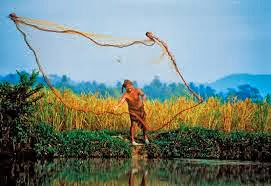 But there is a more urgent reason to visit the Mekong now: Life along the river is set to change rapidly. 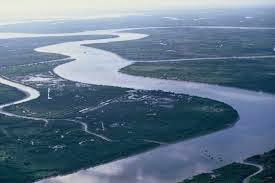 The Chinese view the Mekong as a vital energy source and have recently constructed two immense dams on its upper reaches. Dozens of other projects are under consideration. “China is impervious to pleas from Southeast Asia,” says Steve Van Beek, a Peace Corps veteran who has lived in the region for 40 years and now guides kayaking trips on the Mekong. “These dams are in an earthquake zone; the possibility of a wall of water coming downriver isn’t lost on Laos and Thailand. 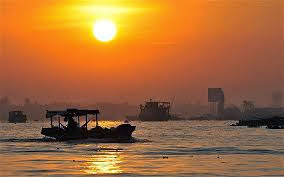 Mekong pros such as Van Beek and Sanderson suggest packing light, allowing several days to acclimate in Bangkok before embarking on your river adventure, and eating what the locals eat: fish with sticky rice; just slaughtered pig, duck, or—if you’re bold—dog. Also, don’t miss the Laotian Pakxong coffee, a potent variety considered one of the world’s finest.